How Does a Domestic Violence Order Affect My Right to Own Firearms? 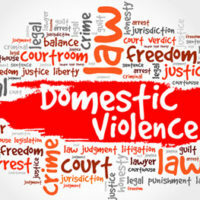 A domestic violence order can have a significant impact on your civil rights. If a Florida judge issues a final injunction against you in a domestic violence case, you can effectively lose your Second Amendment right to own firearms for personal protection. This is why it is important to defend yourself against false allegations of domestic violence. Under federal law, it is a crime for a person “who has been convicted of a misdemeanor crime of domestic violence” to possess a firearm or ammunition. Even if there is no criminal charge, the federal ban also covers anyone subject to a restraining order for “threatening an intimate partner” or child. This part of the ban only applies, however, after the accused person has had proper notice and the opportunity to defend themselves in court. You cannot lose your right to own firearms based solely on an ex parte or temporary restraining order. One other thing to note about the federal firearms ban: It only applies to domestic violence orders involving children and “intimate partners,” which is defined as a spouse, ex-spouse, or someone you have had a child with. It does not apply to people you merely dated and never lived with. Unlike federal law, Florida law does not directly prohibit individuals from owning firearms based solely on a misdemeanor domestic violence conviction. However, if you are under a permanent injunction for domestic violence, you may not have “care, custody, possession, or control of any firearm or ammunition” so long as the order remains in effect. This means that if you have any guns at the time a domestic violence order is issued against you, you must surrender them to the police. And obviously, you are not allowed to acquire any new guns. If you fail to obey these requirements, you can be charged with a first-degree misdemeanor, which carries a possible jail sentence of up to one year. But according to a recent report from WPTV-TV in West Palm Beach, Florida law enforcement officials often have difficulty enforcing the no-firearms rule in domestic violence cases. WPTV said that “[r]eports from a handful of criminal courts around the state show of the thousands of restraining order violations documented since 2015, just a few dozen were for guns accused abusers had or refused to surrender.” In most cases, WPTV said, domestic violence defendants are on the “honor system” and expected to report and surrender any firearms on their own initiative. If you are under a final domestic violence injunction, you need to follow the law and turn in your guns, even if you feel that you have been wrongly accused. Breaking the law is never the answer. You are only putting yourself in greater legal jeopardy by ignoring the terms of your injunction. The best thing you can do if you are accused of harming or threatening a family member or former partner is to speak with an experienced Miami domestic violence defense attorney who can help you work within the legal system to protect your rights. Contact the Law Office of Julia Kefalinos today if you need immediate assistance.